What’s Black Friday without killer deals? Check our sales guide here to see all of your favorite stores sales. Walden Galleria will be open from 9pm-2am on Thanksgiving and 7am-10pm on Black Friday! However, restaurants and other store hours may differ. Don’t forget to arrive early for door buster deals! Listed below are anchor store hours for Thanksgiving and Black Friday. Several other stores will remain open through the night for shoppers to continue capitalizing on door buster sales! The biggest shopping event of the year always means crowded parking lots. Park closest to where your first stop is to save time! Take a look at the directory to see where the closest spot to your first store is here. 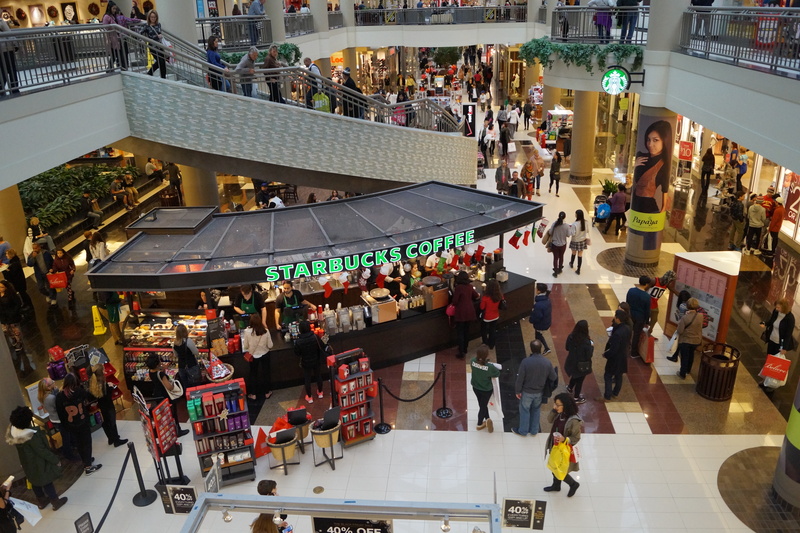 Yes, having a laid-out plan is good for Black Friday shopping, but checking out new stores is also a must. Maybe you will even find a gift for yourself! New stores like Zara, Showcase, and Mumuso are perfect for discovering gift ideas you didn’t know you would find! Don’t use up your data pulling up coupons and deals! Log-in to our FREE Wi-Fi by selecting ‘WaldenGalleriaWifi’ on your phone’s Wi-Fi menu options. With our Wi-Fi, you can pull up store apps and coupons easily, even when your hands are full with bags. Not all of us are night owls. Make sure to refuel at Tim Hortons on the upper level and Starbucks on the lower level. Near, far, wherever you are, if you’re traveling to shop we’ve got you covered. Book with one of our partnering hotels for a special discounted room rate, coupon book, and a Macy’s gift card here. Even while using our Wi-Fi, keeping your phone battery full is a must for coupons and deals. Bring a charger with you and plug into an empty power outlet in any of our soft seating locations. Bring your kids with you to visit Santa on Black Friday only to see what they really want for the holidays! Santa is located on the lower level between Apple and Clark’s. More information for all of the fun surrounding the big man in red can be found here. Nothing beats a good meal after a long shopping extravaganza. Head down to Restaurant Row and enjoy one of our 12 restaurants while you sit back and bask in all that you accomplished this weekend!